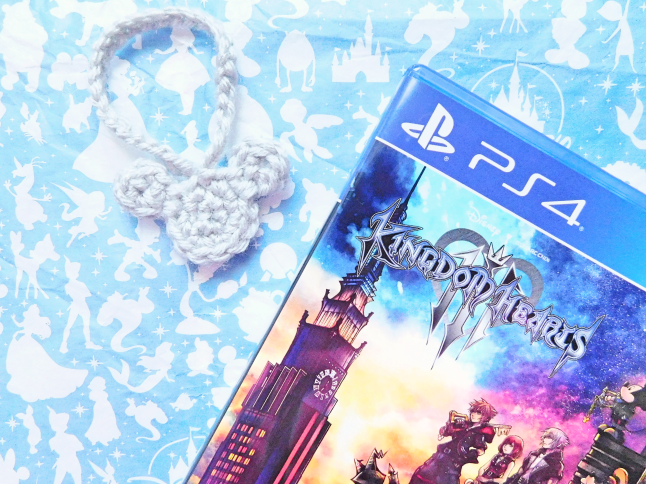 Kingdom Hearts 3 was recently released and if you're like me, who has been a fan of the series since the beginning then you know that we've been waiting for 13 years for this day! THIRTEEN YEARS! Honestly, I didn't think I would be alive to witness this day! For those who don't know what Kingdom Hearts is, it's a game by Square Enix that features various Disney Characters. If you have any problems with this pattern feel free to reach out to me so that I can help you and make any corrections to the pattern. Slst, ch 30 sts, slst to the 1st chain. 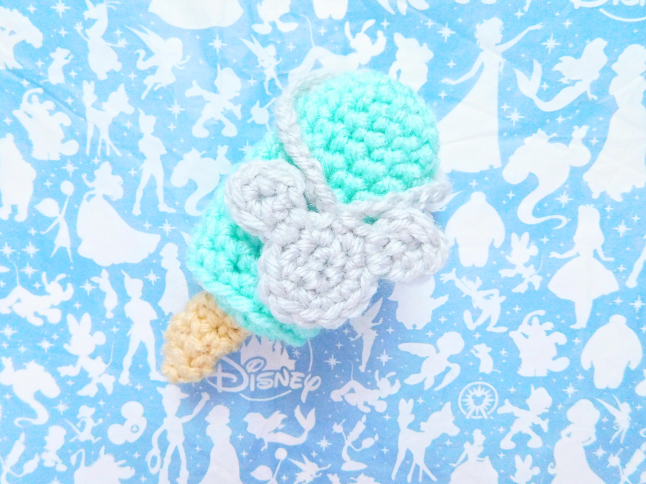 Sew closed the ice cream and weave ends. 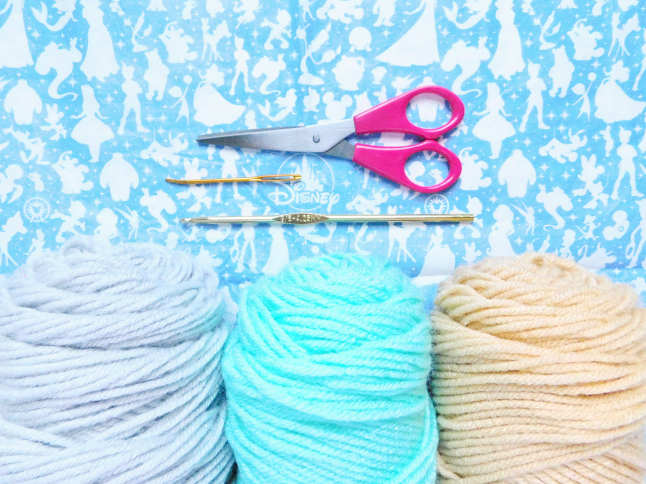 Sew the two popsicle sticks together and attach to the bottom center of the popsicle. 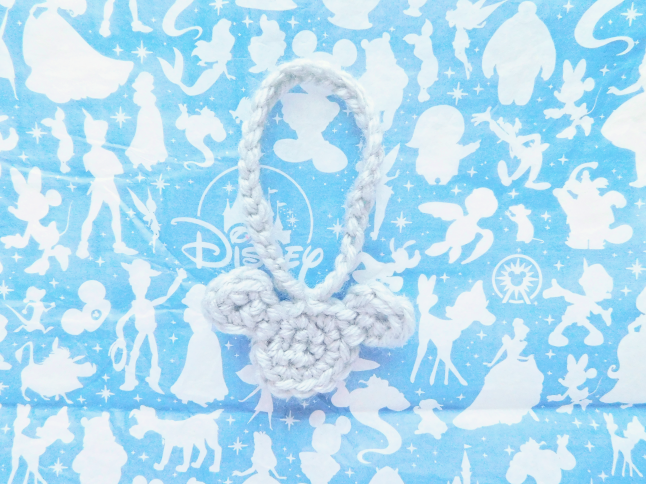 Sew the two ears on the mouse head shape. 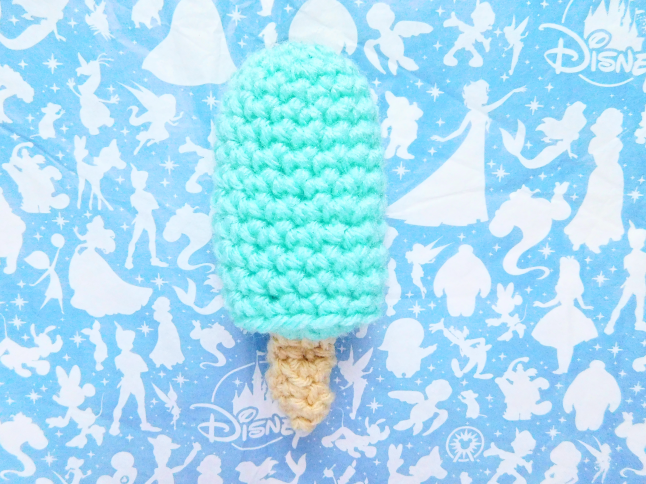 You can choose to sew the Mouse-shaped chain around on the popsicle or just leave separate as is. 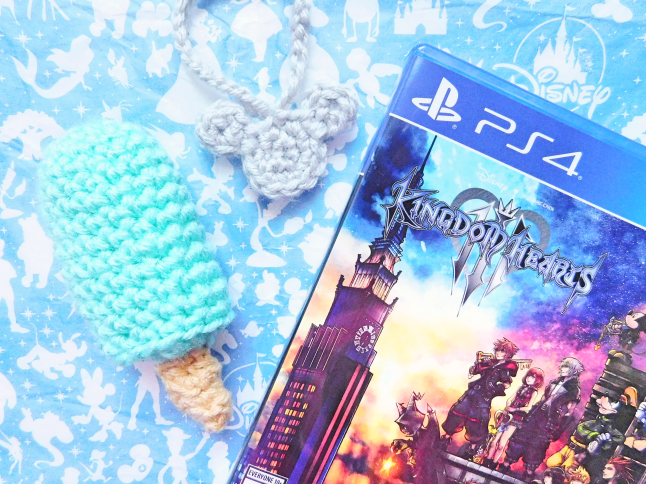 Have you played Kingdom Hearts before?